We know that everyone loves to find a great sale or bargain, so we are happy to let you know that Jeff’s Naturals is part of the It’s Only Natural sale at Lamb’s Nature’s Choice Market stores during the month of February! That means that this is the perfect time for consumers to stock up and save up to 25% off of their favorite Jeff’s Naturals items at all Lamb’s Markets! This is the time to stock up on Jeff’s Naturals! Our all-natural line of Mediterranean pantry staples can be found in all the above Lamb’s Market stores and in addition to Cutsforth Marketplace Thriftway in Canby, OR and Shop n Kart in Chehalis, WA. Consumers with food sensitivities and allergies will appreciate “Free From” at Lamb’s, an Allergen Awareness Program developed to help their customers find appropriate foods for their special dietary needs. The store even offers a Gluten Free store tours with a local Gluten Free Lifestyle expert who offers suggestions for replacing old favorites with new ones. For more information on Lamb’s Market, please visit www.lambsmarkets.net. Jeff’s Naturals can be found in natural food stores all over the country. To find a store near you, try our new store locator. You never know when you’ll find a great sale! Happy Shopping! What’s On Your Game Day Menu? The “Big Game” is coming up, are you ready? Millions of us will gather with family and friends on Sunday February 1st to watch a (hopefully) suspense-filled football game while enjoying tasty snacks and appetizers. 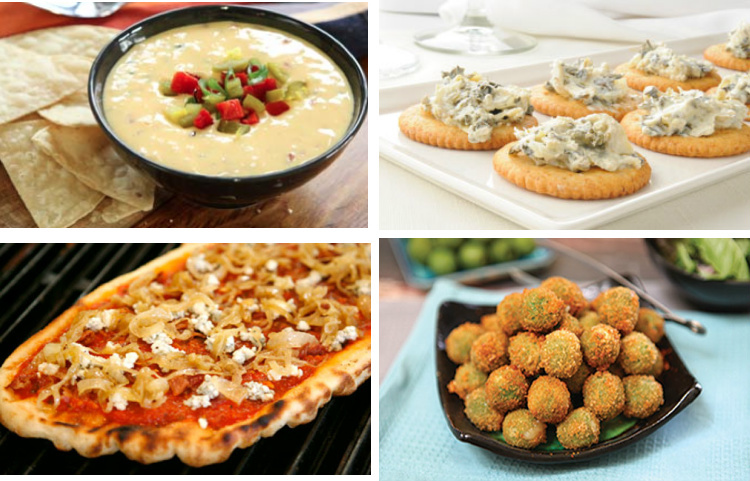 If you are hosting, delicious appetizers are a must. Chef Natalie, our “Chef in Residence” has been hard at working creating tasty party recipes using only the best ingredients. Click here to see our growing recipe collection of salads, soups, appetizers and entrees to delight your taste buds. In a medium saucepan melt the butter over medium-high heat. Add the flour and cook, stirring constantly, until the roux is pale yellow and frothy, about 1-2 minutes. Do not allow the roux to brown. Slowly whisk in the milk and continue to whisk until the sauce thickens and comes to a boil, about 2 to 3 minutes. Reduce the heat and simmer for 2 to 3 minutes. Stir in the cheese, one cup at a time, and whisk until melted. Next, stir in the jalapenos and roasted peppers. If the sauce seems too thick, thin with some of the jalapeno brine or milk until you achieve the desired consistency. Great dip with chips or drizzled over broccoli or baked potatoes. Heat grill on high heat. When grill is heated, brush olive oil on grill grates, use half the pizza dough and roll out and stretch until desired thickness is achieved. Carefully lay dough onto oiled grill. Dough will start to bubble and char. After about 2-3 minutes, flip dough over and spoon on some pizza sauce. Evenly distribute peppers and onions. Sprinkle blue cheese and bacon crumbles on top. 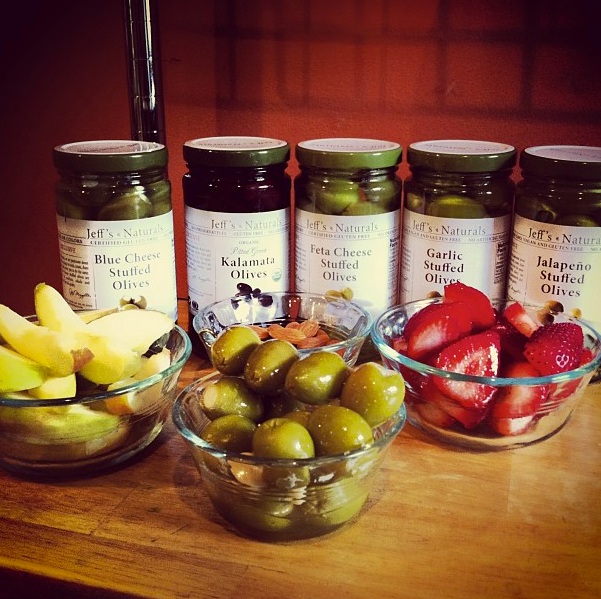 If adding olives, add those as well. Grill for about 2-3 minutes and slice and serve hot. Cut the manchego cheese into small rectangle pieces so they’ll fill the hole of the olive. Place one cheese plug into the center of each olive. Prepare the breading station with 3 separate shallow bowls. Use one for flour, one for eggs, last one for panko. Drop the stuffed olives into the flour first, remove and gently shake off any excess, place into beaten eggs to coat, then drop into panko and roll around until fully covered with breadcrumbs. Heat a few inches of oil in a saucepan to 350º F. Fry olives in small batches until golden brown in color. 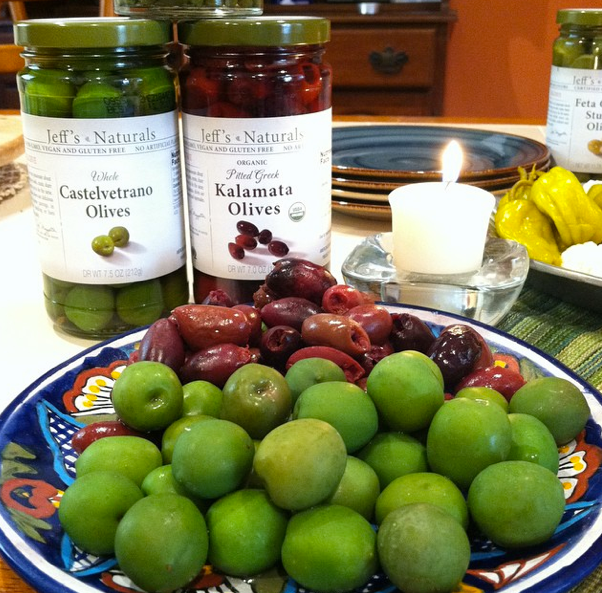 Remove with a slotted spoon and place olives onto a plate with paper towels to absorb the excess oil. Let sit for 5-10 minutes and serve warm. Preheat oven to 400º F. In a large mixing bowl, combine all the ingredients. Place into an 8×8 baking dish. Bake for about 15 minutes or until bubbly around the edges. Serve hot with pita chips or bread cubes for dipping. In a mixing bowl, beat the butter with an electric mixer for several minutes. Add in the flour, cheese and spices. Mix for one minute, add the hot sauce and water and mix until combined. Transfer the dough to a piece of plastic wrap and flatten into a disk. Chill in the refrigerator for one hour. In the meantime, preheat your oven to 400º F. Bake for 20 minutes, or until golden brown. Serve this appetizer warm.